Watching ESPN’s SportsCenter this morning, I stopped dead in my tracks when I saw this spot for New Balance. It features their shoemakers hard at work in the company’s Skowhegan, Maine factory. Looks like the folks on Madison Avenue are waking up to Americans’ desire to know how and where their clothes are made. The commercial beautifully displays what I’ve tried to express through this little blog: there are people in this country still passionate about making something and doing it better than anyone else in the world. New Balance has been making some of the best shoes — not just running shoes, shoes — in the world since the company was founded in 1906. 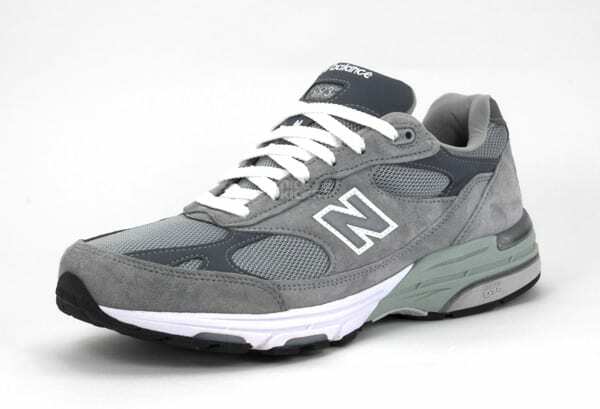 Earlier this year, in the market for some new running shoes, I had my eye on the New Balance 993, the latest update of their classic 990 series. Visiting three different running stores, the kinds with cameras on the treadmills and a “tread analyst” on staff, each sized my foot with different results. One, a 12, made me feel like a clown; the other, a 10 1/2, required a shoe horn, a gulp of grit, and pinch of patience; and the last, good ol’ 11, much like Goldilocks was… just right in my opinion, but the salesperson insisted I was wrong. I bought a pair of Brooks’ Ghost. Lighter than the 993, I still feel every part The Rocketeer when I run. What compels shoe companies to fashion their best shoes of shiny vinyl and bright neon mesh? I am not dancing back-up in a video for C&C Music Factory. I hope to burn through this pair much faster than my last, a pair of Asics which held up for five years; I can finally run in the shoes I want, salespeople be damned. Damn, I’ve been meaning to buy myself a pair of 993’s for a while to get rid of my Nikes but knowing now what I am supporting by owning a pair of NB makes me want to get a pair that much more. I’m wearing a pair of 993’s right now. I also had the 992’s, 991’s, 990’s, etc. They’re the most comfortable and most durable shoes I’ve ever owned over the last ten years. I love that they’re made in America and I love their understated style. A runner I am not, but a fan of the NB I am. As for the USA made there’s only one: The M998. One seriously well made and damn fine looking sneaker! Here’s a photo of one of my pairs. Thanks for posting the film. Really enjoyable. from what i understand only a very small percentage of the NB’s are still made in the USA……something i guess. My pop has sworn by NB since his early running days…mostly because they were the brand that came in the wide widths he needed…also didn’t hurt that they were American Made. I have heard that some of the cheaper models are made overseas though…nevertheless, NB is my preferred choice of running shoe….great post Max. R4, you’re right. It wasn’t in that commercial, but 1 of every 8 shoes is made in the US. These shoes will always remind me of my dad. Worn out pairs – dirty and full of holes – used to lay in front of the front door year round. He doesn’t run, but he wears them wherever and whenever he can. 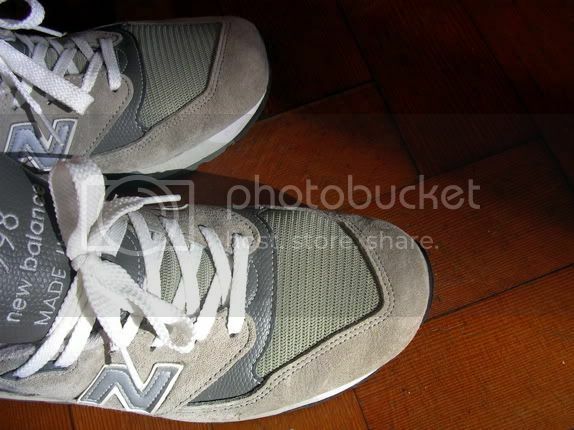 And every time I buy a pair of NB, that’s the first thing I think of. My dad dressed up as Santa for my preschool. Apparently I looked at him strangely the entire time and, when we were at home, I told him that Santa wore the same shoes he did (all with a slightly skeptical look in my young eyes). Always loved new balances. i have a pair that was made in england. a great show and its lasted me for 5 years now. I fee like New Balance are the go-to shoes out here–you rarely see people in anything else, despite Nike’s Oregon headquarters. I’m sure the made in America aspect is a huge part of that.